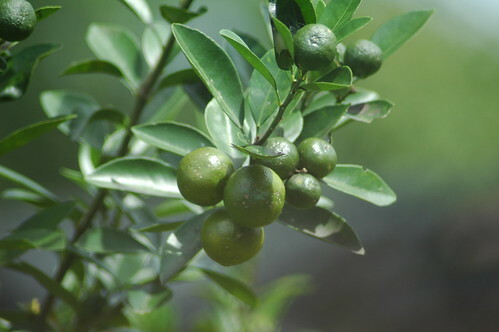 Squeezed lime juice (Citrus microcarpa) are indeed able to add a delicious taste of some drinks and dishes. But the privilege does not stop there aje tu. Actually, many more nutrients lime that you might not know. This is because not only juice, lime skin but even this you can use to reduce somediseases such as asthma, sore throat and headache. Do not forget not, he is said toovercome the problem of body odor. - Take a spoonful of honey. If possible, honey. Then, add 5 drops of lime juice. - Drink a mixture of honey and lime juice last. You can drink at any time even when not experiencing fatigue. But enough for you topractice this once a week. 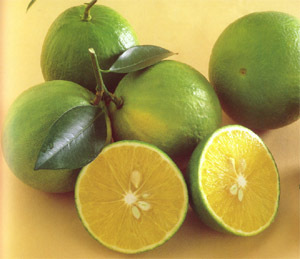 - Take a lime and cut a little at the top. - Then, squeeze the lime skin just until the juices out. Make sure your pointing towards the nose tu fluid when he gushes. - Always eat raw lime skin. Usually it is used to cure a sore throat due to mucus and phlegm. - For adults, you mix the lime juice with a little black pepper. - Stir the mixture until smooth and drinking tu. - If your child, you can mix the lime juice with a little honey tu. The purpose of replacingthe black pepper with honey is to prevent children having hot tu. - a lime juice into the dish. - Combine the squeezed lime just with a little salt. - Then, rub the mixture over the part that is exposed to oil. - Remove the pads already, leave it for 5 to 10 minutes. Tu grease will disappearsoon. Finally, did you wash clothes with just the normal kind of clothes. That's 5 functions lime can you take advantage of our daily lives. Hopefully it can help you address the above problems effectively. As tu can not save money, right?